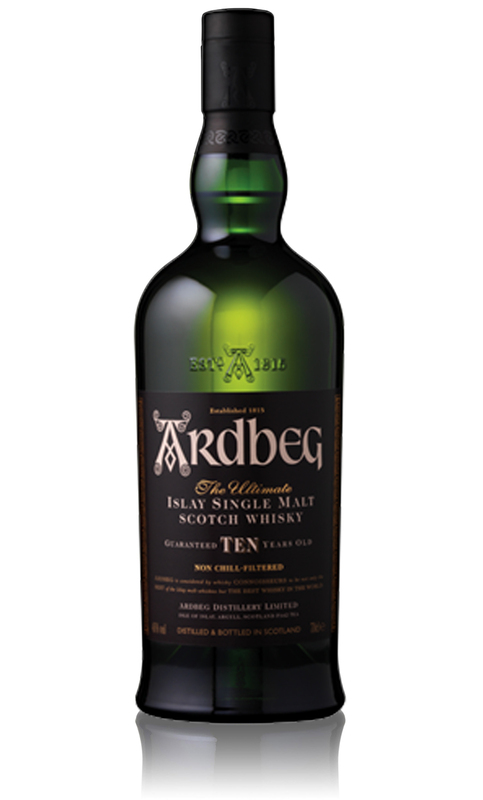 I tend to shy away from bottles which have been reviewed a million times before but I’ve just this very evening polished off my latest bottle of Ardbeg 10 and if anything I’m writing this to show my journey from Islayphobe to Islayphile. Ten years ago I didn’t really get on with Islay whiskies, the smoke just didn’t do it for me, I felt them rough and hard work, whiskies not to be enjoyed but to be endured and I’d tried plenty and because I couldn’t get over the ferocity of the peat smoke I always dismissed them as just loads of smoke, loads of pepper and heat and awfulness and it’s just a thing. Then of course I changed, over time I have grown to love peated whiskies and now have more peaty whiskies in my stash than not. The first peated whisky I remember actually buying was the Ardbeg Blasda for about thirty quid, Ardbeg light as I used to call it and I loved it, it was gentle enough peat for me to get used to it and I could also learn the other smells and tastes as I worked my way around the peat and ever since I’ve had a bottle of Ardbeg 10 for evening sipping and here are my thoughts on the 46% non chill filtered 10 year old Ardbeg which I picked up last when on offer and I suggest you do the same. For this review I added a drop of water, it doesn’t need much in my opinion. Nose. Sweet smoke and lots of it, lemon oil and candied lemons, vanilla and pepper, little bit of salt and wet burning wood I sometimes get freshly sliced ginger too but not every glass for some reason. Palate. Strong peat softens into toffee and burnt toast with butter, orange boiled sweet, lapsang souchong, pepper corns, toasted marshmallows. Finish. Linger with pepper and smoke, a edge of sweetness. It’s a beautiful and consistent dram, I’ve consumed maybe half a dozen bottles over the last ten years and it’s always worth going back to.